In preparation for my cycle tour from Adelaide to Melbourne beginning this weekend, I needed to make a firm decision on which bike to take. I’m fortunate to have a choice. As I won’t be cycling off-road beyond the bitumen, I have decided against riding my trusty “Iron horse” MTB, usually towing a BOB Yak trailer and opted for my Surly Crosscheck instead. 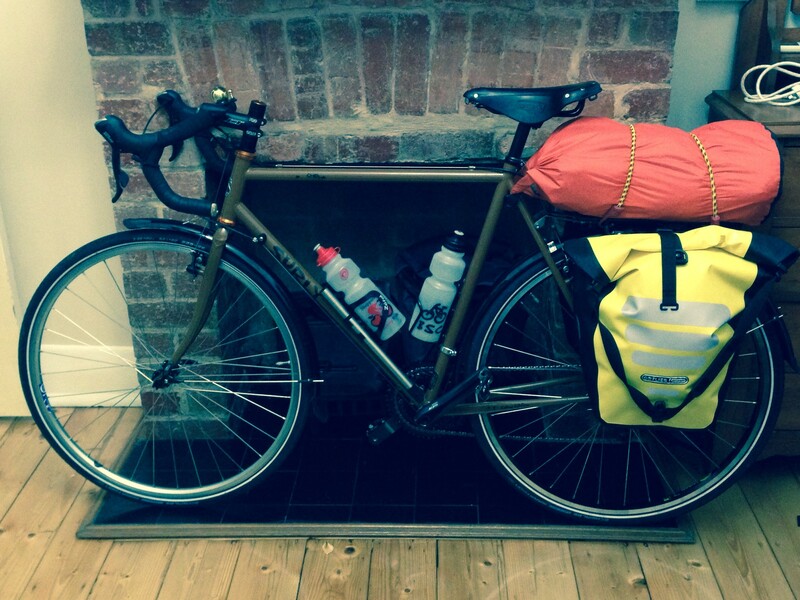 While the Surly isn’t your regular touring bike, it is adaptable and rides well. There are a few braze on’s for mud guards and the rear rack, however, the chain stays are shorter so you don’t have that upright position on the road you get with a longer wheelbase touring bike. The Crosscheck is essentially a steel framed road bike, however I have been able to modify it a little so that it’s a quick light tourer fitted with a Shimano triple 105 group set 50/39/30 and a 11-28 rear cassette. My local bike shop (LBS) was able to fit a 32 cog on the back which will give me a couple of extra granny gears as I labour uphill fully loaded. The LBS also noticed that velocity synergy rear rim was cracking, apparently the spoke tension was too high. Given I’m carrying Ortlieb panniers and extra weight over the back heel, I decided to have a new wheel built using Mavic A719 rims and DT Alpine spokes. Hopefully its bullet proof. Add the 32 mil Schwalbe Marathon Plus tyres and my comfortably worn Brooks B17 saddle, SPD shoes with recessed cleats and I’m pretty much ready to go.